we are going to taste 5 new wine arrivals from differnt countries. 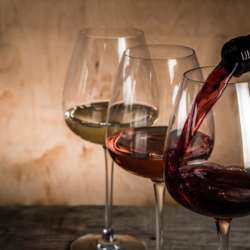 The owners of this wine shop are going to present in a very informal way their top picks and we will have the oppunity to gain new details about the exciting world of wines. Please keep in mind that the location is not booked exclusively for InterNations but open to other customers.